The ocean floor may be sinking under the weight of heavier oceans as a result of climate-change-induced glacier melting and sea level rise, according to a new study. 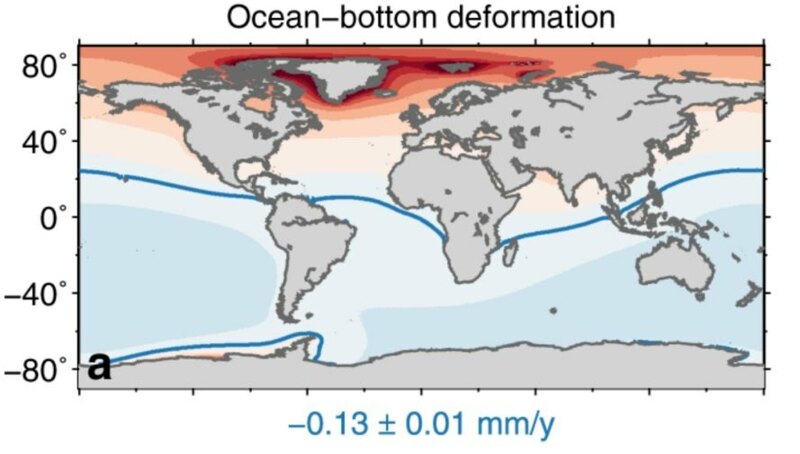 Scientists at Delft University of Technology in the Netherlands discovered that the deforming impact of a heavier ocean on the seafloor is too large to be accurately measured using traditional satellite altimeters. This means that measurements of sea level rise based on the assumption of a static seafloor may be inaccurate. 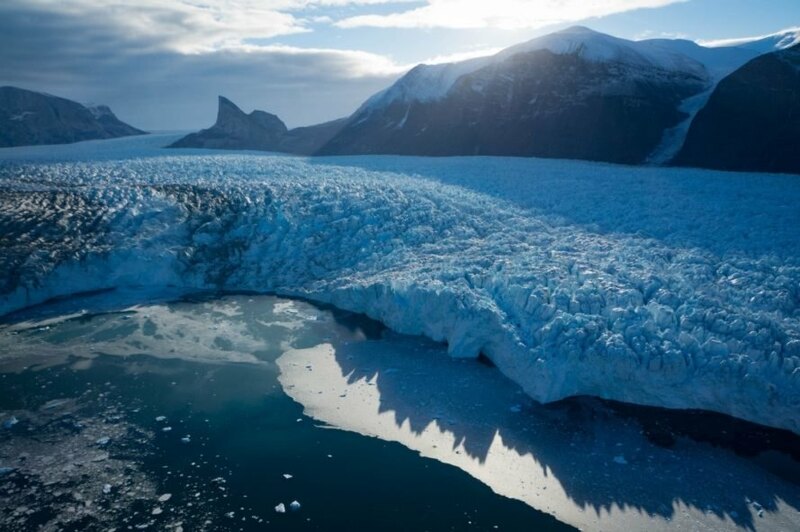 Researchers suspected that traditional sea level measurement methods might be off. “We have had tide gauge sea level rise measurements for more than a century,” Delft University of Technology geoscientist and study Thomas Frederikse told Earther. “You put an instrument at the sea bottom and see how far sea level changes relative to the bottom. Satellites orbiting the Earth measure sea level from space. We wanted to see how large is the difference.” After modeling and analysis of new data, the team determined that, as a result of sea level rise and climate change, the ocean floor had been sinking on average by about 0.1 mm/year between 1993-2014, or 2.1 mm in total. This relatively small change can have a big impact on the accuracy, or inaccuracy, of sea level measurements if not taken into account. In their study recently published in Geophysical Research Letters, researchers determined that traditional satellite measurements are underestimating sea level rise by about four percent. Now that this disparity is known, corrections can be made. “The effect is systematic and relatively easy to account for,” wrote Frederikse and his co-authors. Images via NASA and Frederikse, et. al. Sea level rise from melting glaciers and sea ice is causing the ocean floor to sink due to heavier oceans. A map outlining the level to which the ocean floor is sinking.